The upper structure falling is one of the important reasons that cause the bridge collapsed. Beam lowering prevention measure’s main function is to prevent the upper structure falling in a earthquake. 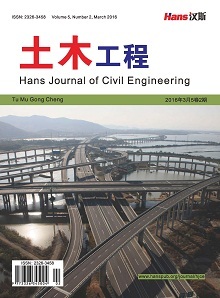 This article takes a multi-scale bridge as the analysis object, using the large finite element software ABAQUS simulation to analyze it. 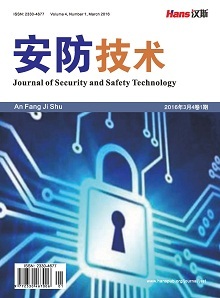 This paper studies the effects of beam lowering prevention measure, by the way of increasing the suspended length of the girder and setting the cable-unseating prevention device. Through the analysis results, we can find out that only increase the suspended length of the girder and set the cable-unseating prevention device locality is not necessarily useful. The bridge structure should be viewed as a whole to set the beam lowering prevention measures. 庄卫林, 刘振宇, 蒋劲松等. “5.12”汶川地震公路桥梁震害分析及对策研究[J]. 公路, 2009, 5: 129-138. 蒋劲松. 汶川大地震百花大桥震害调查分析[J]. 桥梁建设, 2008, 6: 41-44. 范立础, 李建中. 汶川桥梁震害分析与抗震设计对策[J]. 公路, 2009, 5: 122-128. 李乔, 赵世春. 汶川大地震工程震害分析[M]. 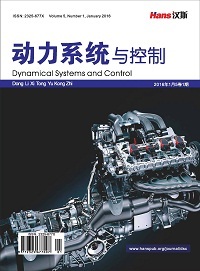 成都: 西南交通大学出版社, 2008. 罗韧, 许慧荣. 汶川地震中百花大桥倒塌模拟分析[C]. 第八届全国地震工程会议, 重庆, 2010年12月24日. 中华人民共和国交通运输部. JTG/T B02-01-2008公路桥梁抗震设计细则[S]. 北京: 人民交通出版社, 2008. JTJ004-89. 公路工程抗震设计规范[S]. 北京: 人民交通出版社, 1990. 王卫峰. 公路桥梁耗能型连梁装置的研究[D]. 长安: 长安大学, 2005. 张劲等. ABAQUS混凝土损伤塑性模型参数验证[J]. 建筑结构, 2008, 38(8): 127-130.